Regardless of your subscription tier, you'll have a limit on the number of times you can install the Office 365 desktop apps. 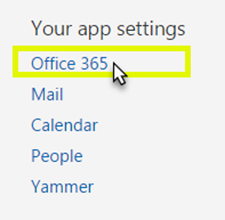 Under Your app settings, click Office 365. On the My account page, click Install status. 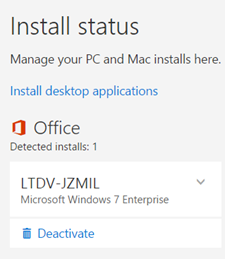 Under Install status, the account management page shows you which devices you're currently using an install on, and how many you have available.